(CNS): The Cayman Islands government has confirmed that the country will get an extra public holiday in June next year to mark the royal diamond jubilee in June. Alongside the usual holiday celebrated on the queen’s official birthday on 18 June, Monday, 4 June will also be a day off for Caymanians. Cabinet approved the holiday last week, in keeping with the UK public holiday. Elizabeth II has been on the British throne and head of the commonwealth for sixty years. She became queen on 6 February 1952, the day her father George VI died but the anniversary is marked on the day of the coronation which took place over a year later on 2 June 1953. Queen Elizabeth II who is the 40th monarch since William the Conqueror seized the crown of England, is the only monarch other than Queen Victoria to have remained on the throne for 60 years. Despite the institution’s ups and downs over the years, it is still supported by the majority of the population in the UK with the most recent opinion polls showing an average of 60% support for the monarchy. Since the royals began paying tax on their private earnings and the civil list was reduced it was recently revealed that the cost to the British tax payer of maintaining the royal family is down to just 51 UK pence per head, per year. The British government is currently in the process of changing the way the monarchy is financed with the introduction of the Sovereign Grant Bill. It creates a new consolidated sovereign grant payment to replace the current funding streams that support the Queen in her official duties, including the Civil List, which dates back to George III. Under the new scheme, the royal family’s annual budget is supposed to rise and fall in line with the wider economy, and any end-of-year surplus would be used to reduce the government payment in the next financial year. The sovereign grant would also enable MPs to subject the Queen’s coffers to the same detailed audit and examination as Whitehall departments, to ensure they provide “value for money”. 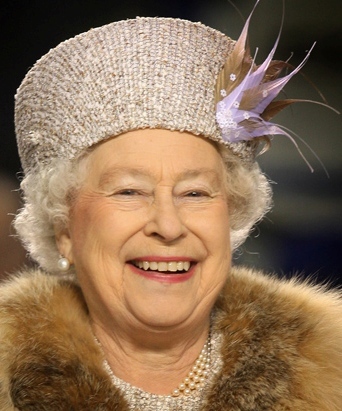 The queen is estimated to have personal net worth of $500 million that comes from property holdings including Balmoral Castle in the Scottish Highlands, stud farms, a fruit farm and marine land throughout the UK, an array of fine art and jewellery as well as one of the world’s largest stamp collections built by her grandfather. As Queen she gets to enjoy other assets as well including $10 billion worth of real estate, Buckingham Palace, the Royal Art collection, and swans. Most of her wealth is tied to her position and not hers personally so she can’t realize those assets. However, it is unlikely that the British monarch would ever find herself strapped for cash. and proud to bea Caymanian with good grammar…. lol again i say…. And why do we need another holiday???? send her some flowers and call it that. Why does the Island have to come to a complete hault. We will soon be having a Holiday for MAC and Alden too. For real….. we can call it Mac-Alden Holiday…. hahaha… it soon come though u watch…. and Mac face soon be on the dollar bill instead of the queen…..
Hmm, so why is it in June 2012? She became queen in Feb 1952, so Feb 2012 would make sense. But they say because of the date of the coronation it should be in June, but she wasnt coronated until 1953 so we are marking the 59th anniversary of it? Does that mean mac can give us another holiday in 2013 for the 60th too?? "coronated"?!!! err bad england innit! Long live the Queen. Thank you for the holiday. We should also follow by example and only pay 51 pence per year towards our politicians' salaries!!! Stupidness. We need a holiday between July 4th and November 11th, not another one in the first part of the year. That's great news another holiday! A day off work? God bless the Queen! the islands employers will love this one! "A day off for Caymanians". Will expats get the day off too? Speaking on behalf of all employers, HAVE YOU LOST YOUR MIND. If Mac's birthday is in June then we can just take the whole month off. God Save The Queen. I mean it man! But… I am a bit sick of stat holidays. My business drops all weekend, Friday to Sunday, plus the extra staff costs on the Monday. Even the following week is slower than normal. Public holidays are a significant cost to private business. Was going to wait till middle of June to leave for the summer next year. Think I will book for June 2nd now. as i asked for the wedding holiday…what is the financial impact on cayman for this holiday? Oh wow…. I feel so important as a Caymanian now….. wipee wooo… I get a whole day all for myself just for being Caymanian…. Behave yourself, you make it sound like these sentiments are new to you. I see the grammar is consistent though….